Date : July to December AD 69. Size : 17.2 x 18.3 mm. Weight : 2.94 grams. Obverse : Head of Vitellius right, with A VITELLIVS GERMAN IMP TR P around (parts of some letters are off the flan). 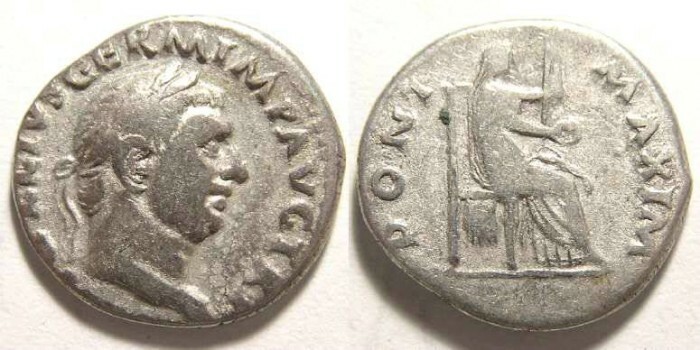 Reverse : Vesta seated right holding a sceptre and patera, with PONT MAXIM around.